After 25 years of tireless work developing the greenway along the old Tralee to Limerick railway the Great Southern Trail Limited have decided to cease managing the day to day running of the route. For Limerick this makes a lot of sense as managing the route was proving taxing for a voluntary community group and it will be better managed and promoted by Limerick County Council. This is great news for the Kerry too as the change of role will hopefully free up time and resources for the group to return to an advocacy role and to help realise of the rest of the route, from the Kerry border to Fenit. The full statement is bellow, hat off to all involved for the great work, here to another 25 year, but hopefully it wont take that long ! The Directors of the Great Southern Trail Limited (GST) have decided to cease managing the Greenway as and from Sunday November 8th 2015 and their licence with CIÉ who are the owners of the Greenway will end. The GST thanks the Board of CIÉ for their vision in 2002 in facilitating the initial development of what was to become the first rural Greenway in Ireland along CIÉ property. 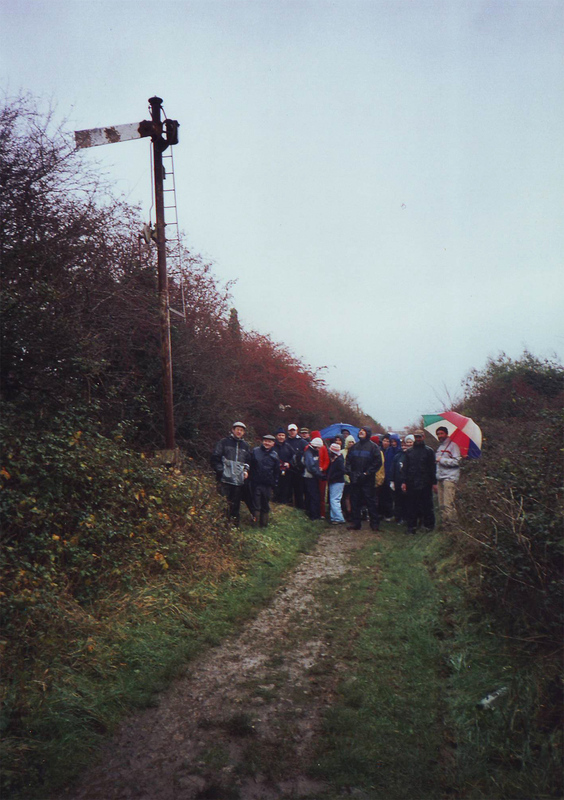 The GST is the only Greenway in Europe which is currently managed by a voluntary group. This fact had its origins over 25 years ago when the then State Agency, Shannon Development, withdrew from what had been their flagship and visionary Greenway project. As a result the prospect of the old Limerick-Tralee railway being reclaimed as farmland loomed large with the consequent loss of a very valuable State owned corridor. To safeguard the railway right of way the GST was founded and with excellent public support much of the old line was subsequently rejuvenated. Initially only the 4km from Newcastle West to Ardagh was opened to the public as a walking route. Gradually, the GST was extended to 40km in West Limerick from Rathkeale westwards to the Kerry Border and upgraded to a cycleway. This success has placed a considerable onus on a volunteer group and despite the support of Community Employment, Rural Social and TÚS schemes the challenge of maintaining the Greenway to the standards demanded throughout the E.U. is a demanding one. In particular a very small number of farm crossings are the subject of unfavourable comment due to the difficulties encountered in keeping them clean. In recent years all newly developed comparable Greenways have been managed by the respective local authorities. CIÉ has current partnership arrangements with Kerry, Waterford and Westmeath County Councils in respect of disused/abandoned railways that remain in CIÉ ownership and are also in negotiation with Kilkenny and Wexford County Councils about new projects. In fact it is probable that the entire Irish Greenway network will become part of the remit of the new Transport Infrastructure Service [TIS] when that organisation takes over the responsibilities of the National Roads Authority and the Railway Procurement Agency. In June the GST notified CIÉ and Limerick City & County Council (LCCC) of its intention to cease management of the Greenway and is confident that an arrangement will be forged between CIÉ and LCCC to ensure that the 40km of infrastructure in West Limerick will continue to be available to the public after November 7th. This is an amenity into which about €2 million has been invested by many State and local agencies including the GST Ltd. which has also contributed thousands of voluntary hours to the project. The GST Ltd. will be happy to support any new management structure and to be represented on it. The GST will also assist in promoting the Greenway and its further extension along the old North Kerry railway to Tralee/Fenit and looks forward to a link also being provided from Limerick City westwards to the GST at Ballingrane/Rathkeale thereby providing an attractive 120km route from the city to the sea.